The “Friends” TV show ran for more than 10 years and gave us a lot of memorable moments, hilarious lines and unforgettable characters. It just might be one of the funniest TV shows ever but sometimes the writers didn’t seem to worry too much about one thing: consistency. Here are some of the annoying inconsistencies in “Friends”. 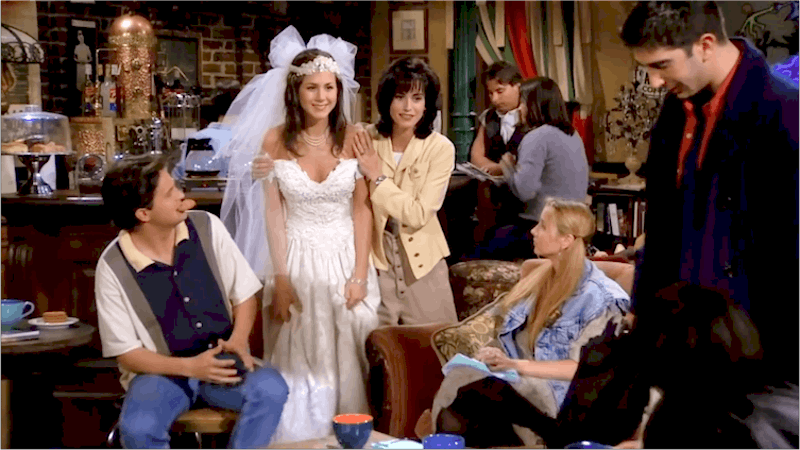 Do you remember when all of the gang except Phoebe – at that time very pregnant – flew to London to attend the wedding of Ross and Emily? Well it turns out that another important person did not attend the event. Ross’ son, Ben, was not among the guests. 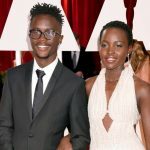 Isn’t it a bit unusual for your firstborn son not to be at your wedding? Some of the fans claimed it could mean that Ross eventually lost his visitation rights, which does not sound plausible. It’s more likely to be a slip in the script. The show isn’t quite sure when Ross was born or just our paleontologist friend gets to celebrate two birthdays. How do we know? In one of the series in a conversation between Gunther, Rachel and Ross, the last one said: Oh, mine’s December… But just a couple of years later, in series 9, the episode where Ross breaks his hand, he and Joey have conversation and Ross says: October 18th. The own birthday is a must remember thing, right? 3. Joey just keeps forgetting what an Adam’s apple is. One of Joey’s funniest scenes is when he calls his Adam’s apple a “Joey’s apple” claiming that he thought they were named after the person who had them. Ridiculous… Or did he? In an earlier episode, Joey says he went on a date with a girl who had a huge Adam’s apple, not knowing that women don’t have them. He obviously knew what they were called at one point. But when did he forget? 4. Does Ross hate ice cream or not? 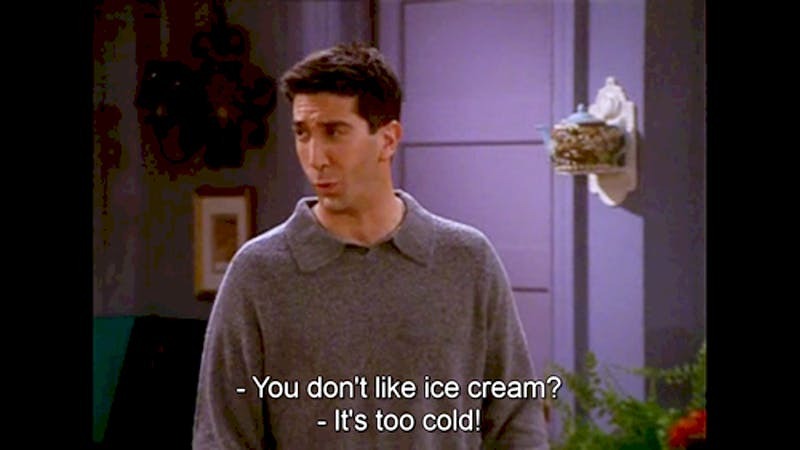 In one episode Ross claims that he doesn’t like ice cream because it’s too cold. But in multiple other episodes, we see him enjoying an ice cream even on a date with Elizabeth. Maybe he changed his mind, ice cream is amazing, after all. The show makes a big deal about it being a “weird” thing about him and then completely forgets about his distaste for it. 5. Phoebe knows French… except when she doesn’t. 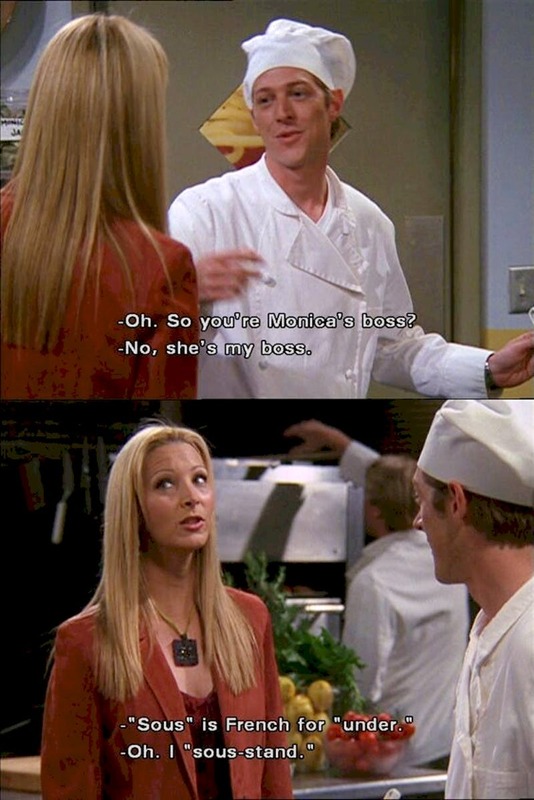 In several episodes, it’s stated that Phoebe speaks French. But in one of them, she doesn’t know that a “sous” chef is someone who works under a chef. The word “sous” means “under” in French, so someone who speaks French should be able to figure that out pretty easily. Maybe she was just flustered by talking to a cute chef or it was a mistake of screenwriters. Phoebe speaks Italian, and sometimes she doesn’t? 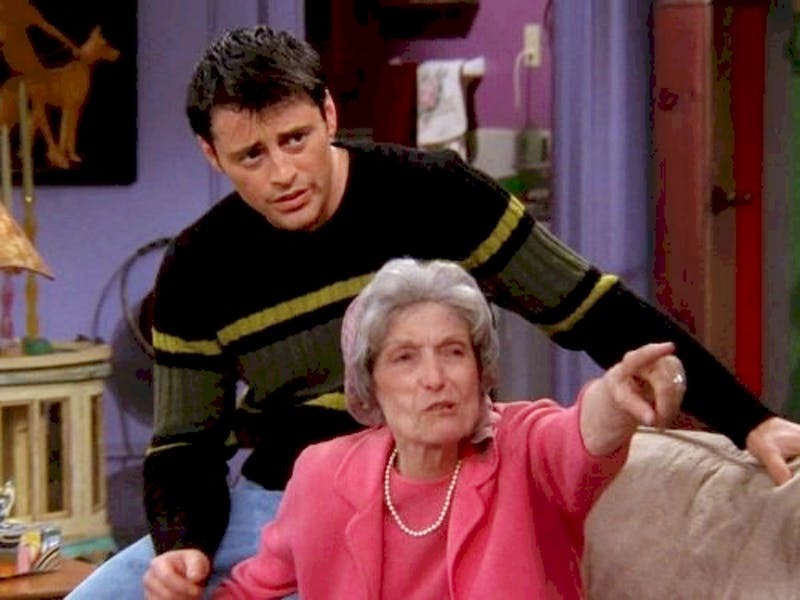 There’s an episode where she speaks to Joey’s grandmother in Italian when she comes over to Monica and Rachel’s apartment. And then there’s at least one episode where she doesn’t know Italian when Rachel is dating her ex-boyfriend. This demonstrates something about the writers, right? 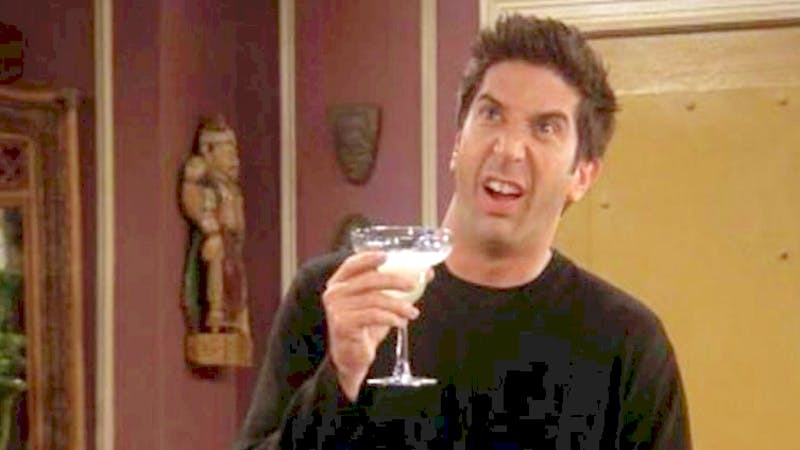 Throughout the series, there are a few details in Ross’s life that he can’t seem to keep straight. Ross is sadly known for getting divorced. He was first married to a woman named Carol. In one episode Ross reveals he’d never slept with anyone before Carol, who was his one and only. That is, until another season, when Ross tells a story that he had slept with a cleaning lady when he was in college. Unless this happened when he was “on a break” with Carol, then the cleaning lady was his first. It seems like the show just forgot that Ross was supposed to be a virgin until Carol. 8. Why didn’t Monica and Chandler get married at the museum? Before Chandler proposes, Monica puts their names down on a waiting list to have a wedding at a museum. But then the museum is never mentioned again and they don’t actually get married there. Maybe things just didn’t work out? But they were already on the list! Chandler doesn’t have a lot of sentimental feelings and he isn’t much of a crier. 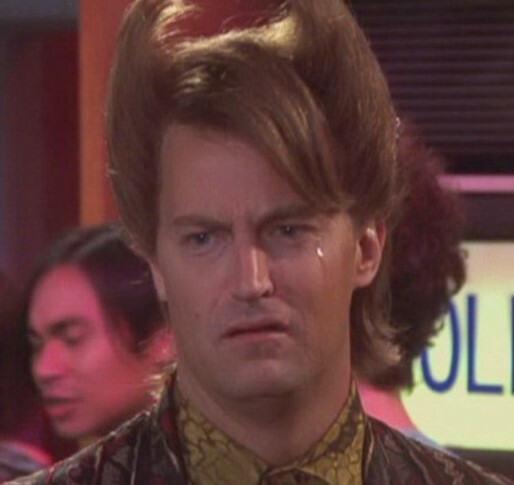 The show dedicated an entire episode to Chandler’s issues with emotions called “The One Where Chandler Can’t Cry”. We have seen him crying but the problem is that the producers and writers must have forgotten about these episodes. When Monica and Chandler got married, she used the word “soulmate” in her vows. However, only a couple of weeks later, Phoebe introduced Monica to a man who Phoebe thinks might be Monica’s soulmate. This causes Chandler to become upset, so Monica says she doesn’t believe in soulmates, anyway, which is weird, considering her vows. 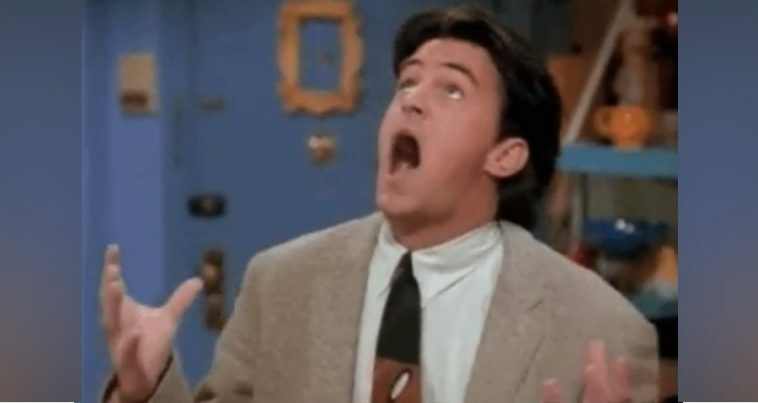 One of all irritating faults found in Friends, one of the most confusing is how Chandler and Rachel could not have known each other when they had met so many times before. Each time appeared to be the first time though. In the pilot, Monica introduced Rachel to Chandler as if they had never met. They were also shown meeting in several flashbacks, including high school days. It’s strange because even though Phoebe only discovered mother’s identity later in life, and was initially upset with her, the two developed a relationship that lasted across multiple seasons, so it seems odd that she wouldn’t even get an invite. 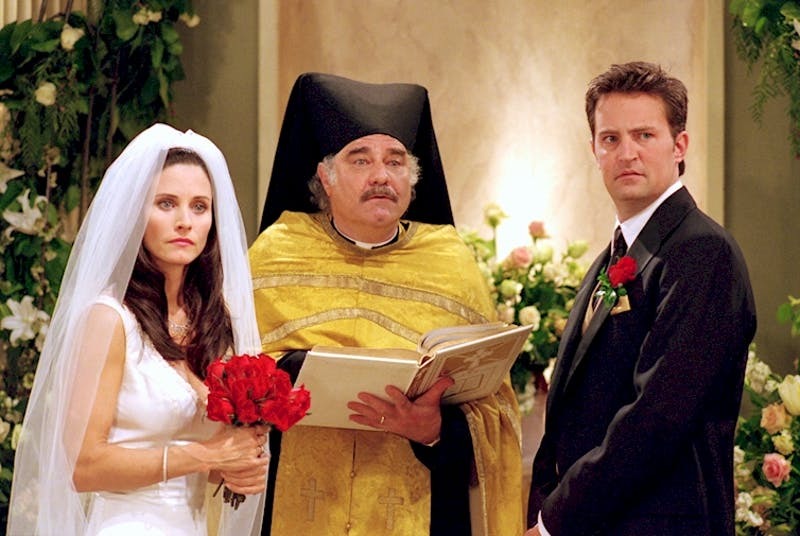 Notable absences from Phoebe’s side of the aisle. Chandler seems to keep forgetting all kinds of things throughout the entire show. For example, he was literally shocked about the fact Monica was obese in high school. The obvious body-shaming part of the script was a fact, but let us put that aside. 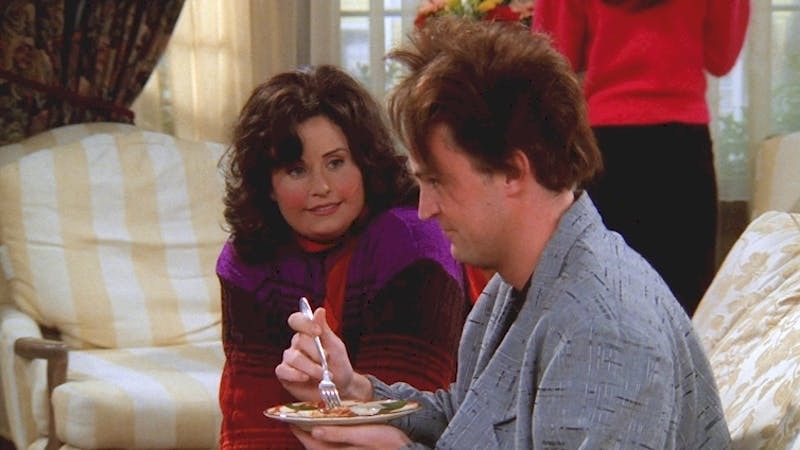 The fact Chandler was surprised doesn’t make sense – Chandler and Monica met when they were both young and he knew she weighted more. They even spent Thanksgiving at the Gellers’ home! 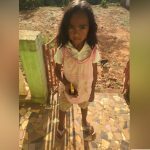 Parents change their minds when it comes to naming their kids, and there’s absolutely nothing wrong with that. Well, it might become a problem if you promised to name your baby after one of your closest friends and then change your mind. In the end Monica and Chandler choose the name Jack in honor of Monica and Ross’ father. 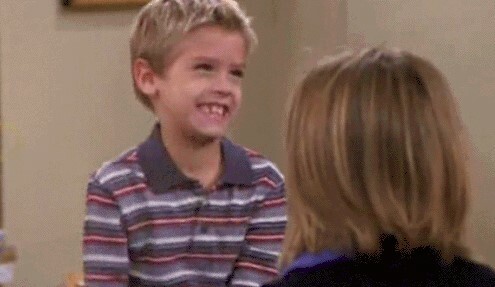 However, in an older episode they told Joey they would name their kid after him. The dog has several appearances throughout the show. It was eventually moved to the balcony and stayed there, and you could spot it in the background. 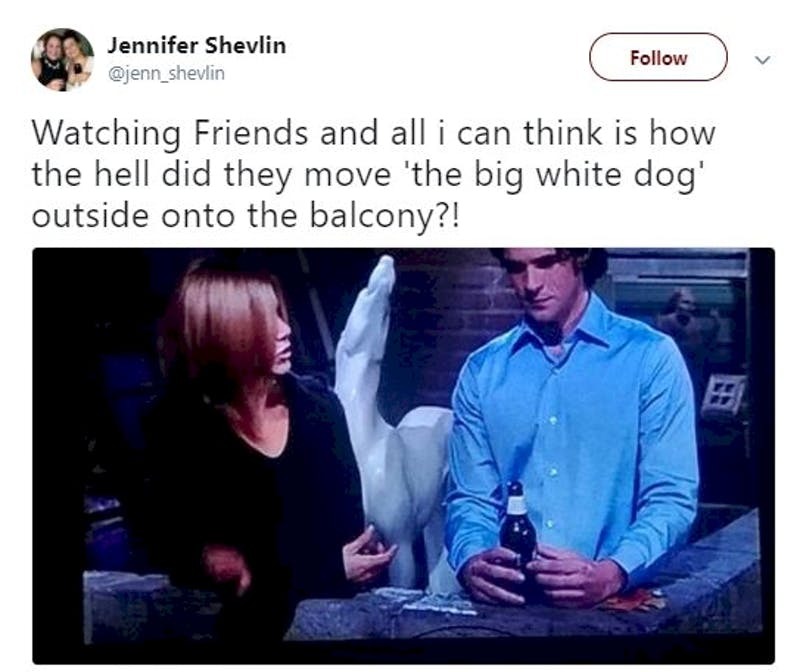 However, it was missing in all the scenes in which anyone actually used the balcony after that. There were at least a few occasions this happened.